BOOM! 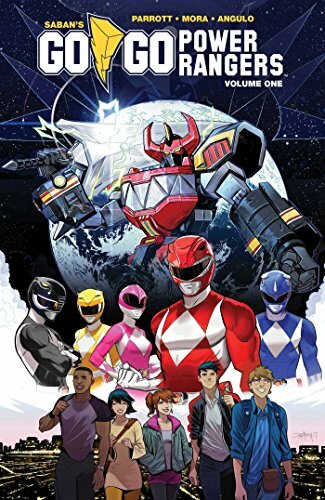 Studios, under license by Hasbro, Inc. (NASDAQ: HAS), announced SABAN’S GO GO POWER RANGERS: FOREVER RANGERS #1, a brand new oversized special from writer Ryan Parrott (Mighty Morphin Power Rangers) and artists Eleonora Carlini (Batgirl) and Francesco Mortarino (Mighty Morphin Power Rangers) available in June 2019. Currently, Power Rangers is celebrating 25 continuous years on the air, making it one of the longest running kids’ live-action series in television history with nearly 900 episodes aired to date. Are you a Power Ranger fan? Let us know in the comment section below. Also, Don’t forget to like, share and subscribe to all things Constant Collectible to keep up to date with all the news and reviews from a world of GEEK CULTURE.